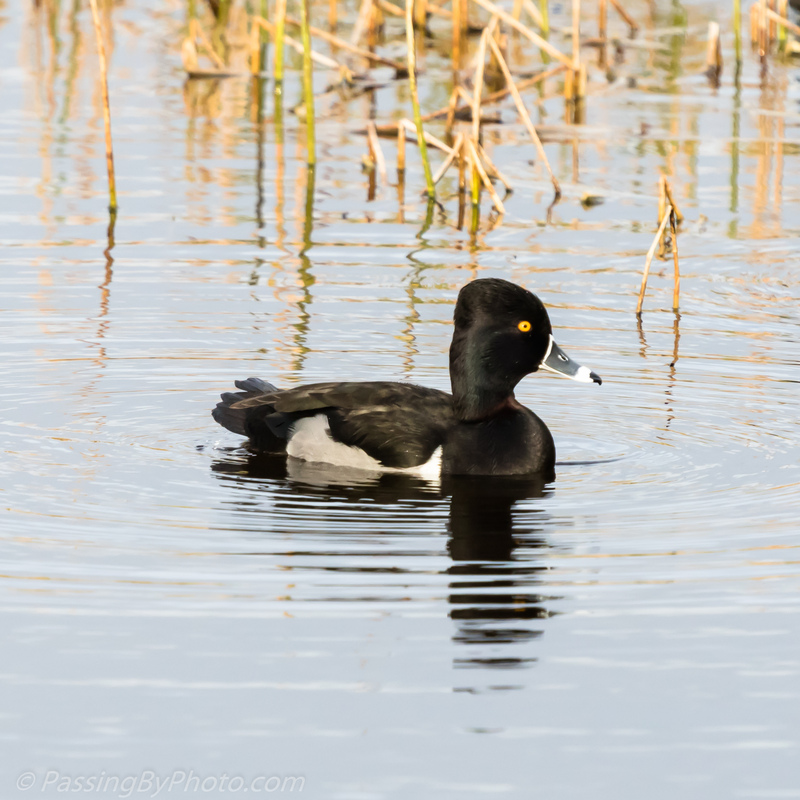 Three Ring-necked Ducks were paddling along an impoundment at Vierra Wetlands in the late afternoon. Yes, the ring is hard to see. A quick read at Cornell’s All About Birds reveals that the name was provided by 19th century biologists who were examining dead specimens so had a different view of the chestnut collar than those of us observing the bird in the field. 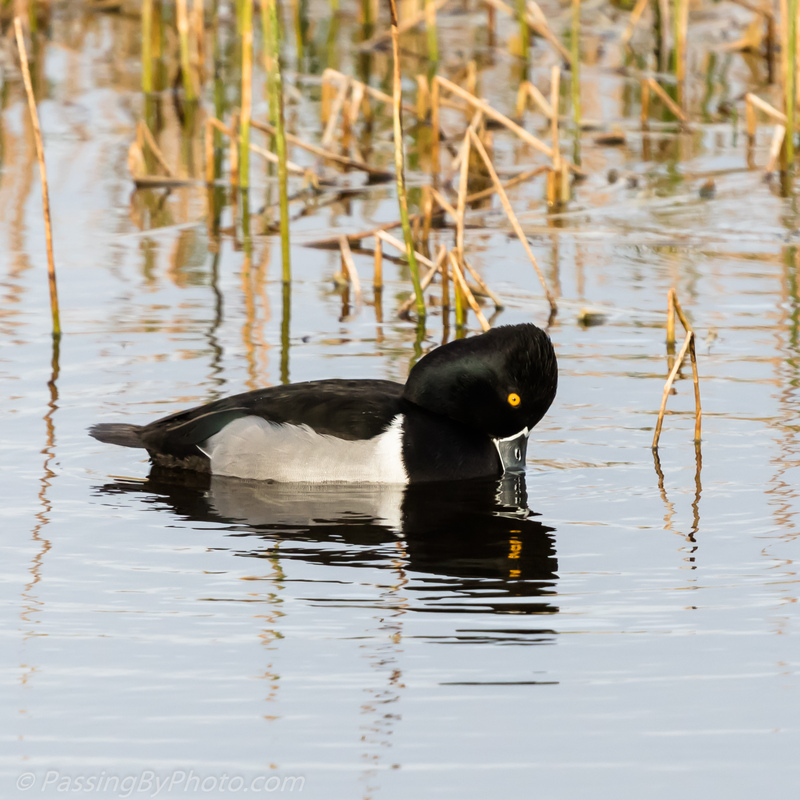 “Golden Eye” would have fit for a name, but might already have been spoken for at the time. Or a name that described the white outlined beak. No matter the name he is quite a pretty bird. 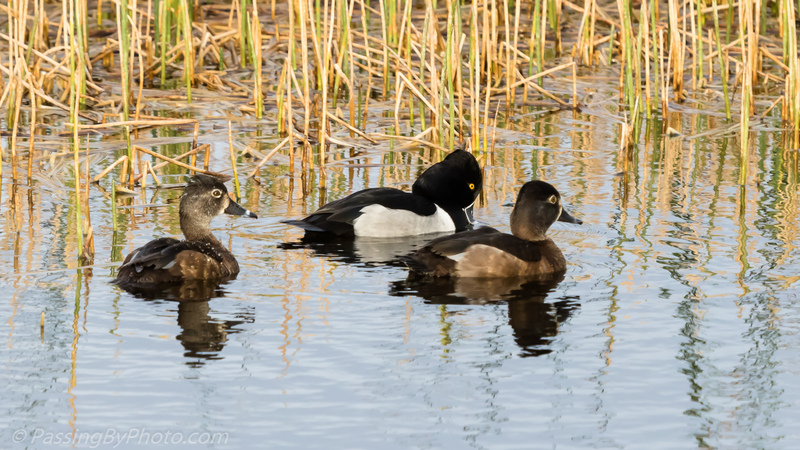 The male duck was accompanied by a female and a juvenile that didn’t venture far from each other. Beautiful photos of this handsome trio!